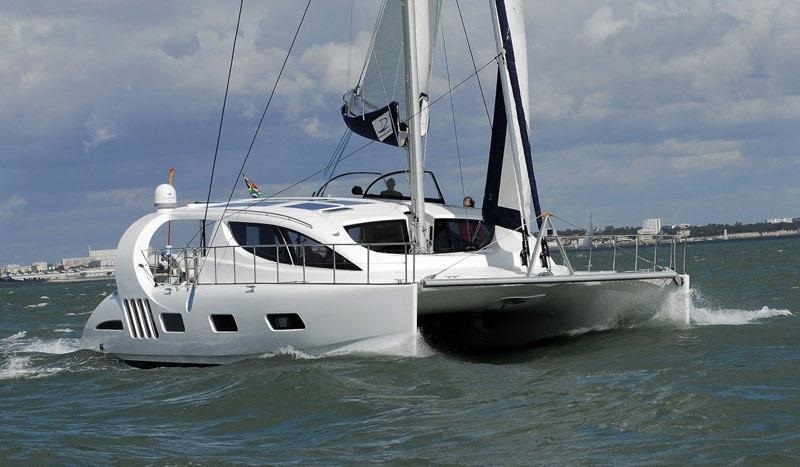 Built in 2012, sailing catamaran PEARL was launched by Dean catamarans and measures 15.3m (50.5ft). Crewed charter yacht PEARL has a striking and modern appeal with distinctive design features. S/Y PEARL is available in the Caribbean and offers accommodation for up to 6 charter guests in 3, en-suite and air conditioned cabins. 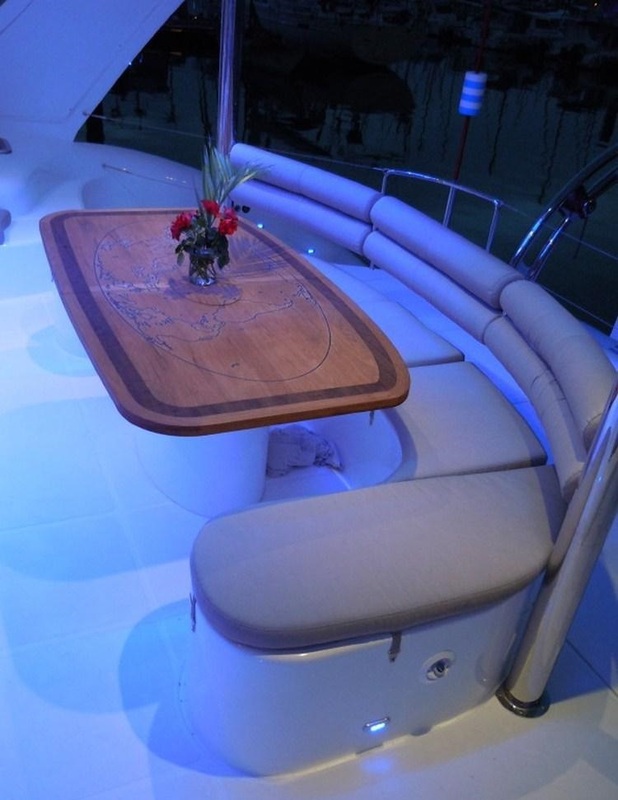 The sailing catamaran PEARL has a modern chic interior, featuring light wood panels, inlaid floors and wild plum toned soft furnishings, creating a bespoke décor. 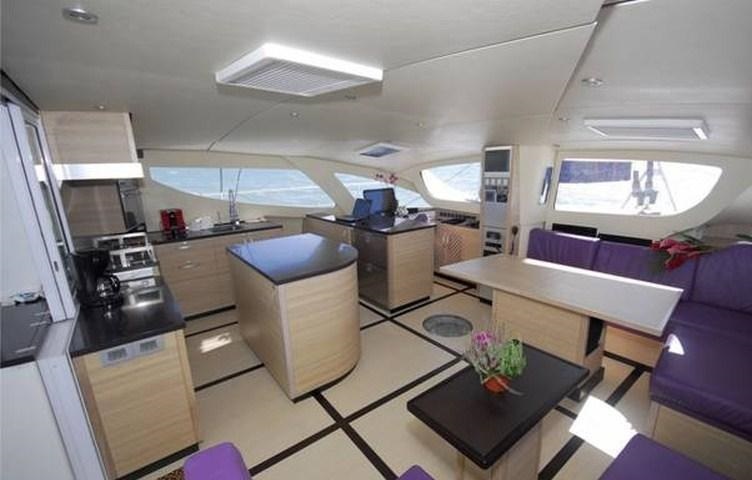 The salon, dining and galley are an open plan, with a social and vibrant atmosphere, ideal for entertaining. With direct access the aft cockpit, the space flows seamlessly outdoors. 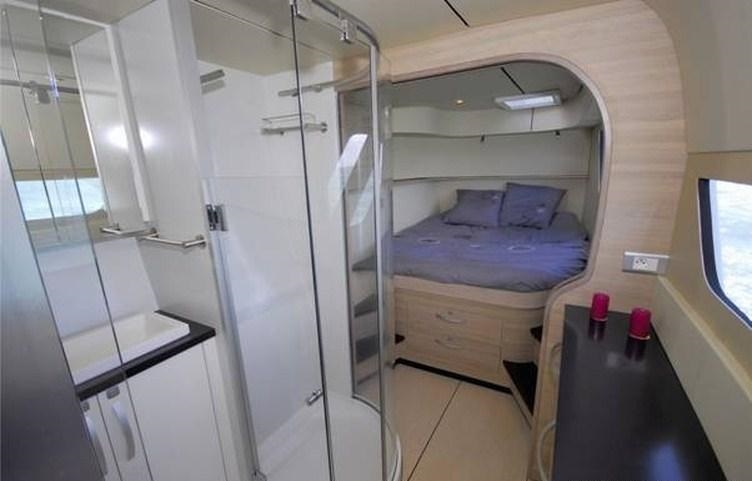 Guest accommodation is in the port and starboard hull, each with queen size beds and en-suite facilities. 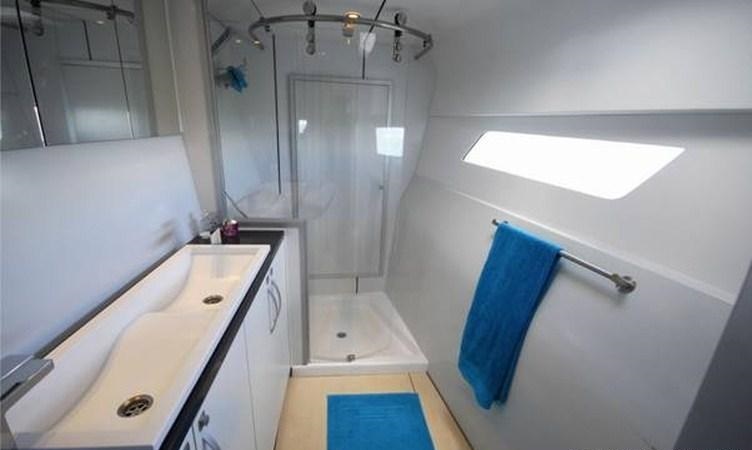 S/Y PEARL is fully air conditioned throughout. Charter yacht PEARL boasts a sleek and innovative hull design. 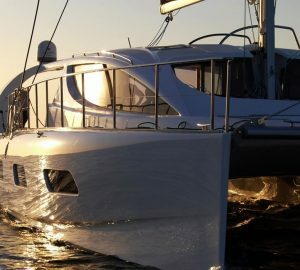 Her lines are revolutionary and unique to the South African based, Dean Catamarans. Exterior living is generous, perfect for the Caribbean. 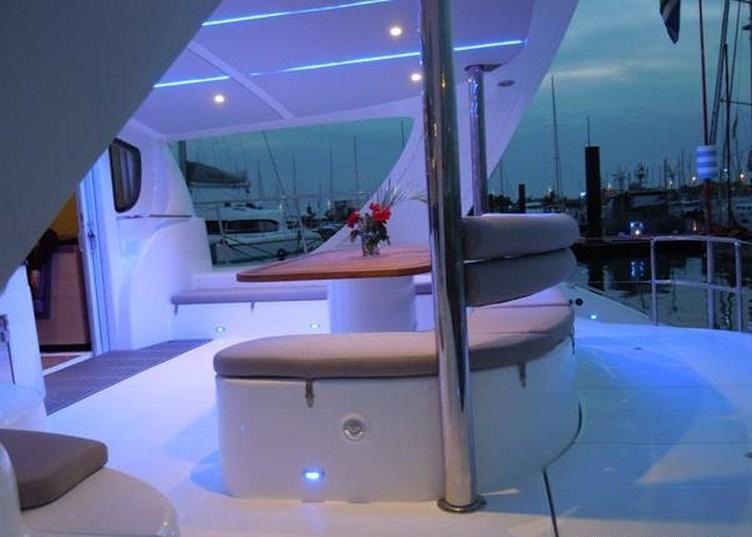 Aft of the salon is a shaded cockpit, complete with ample seating and an alfresco dining option. The stern is well appointed with plenty of deck areas and wide transoms, providing effortless water access to the many sea toys available. PEARL has a beam of 8.2m (27ft), her wide side decks lead to the spacious foredeck and comfortable safety trampolines, ideal for sunning. 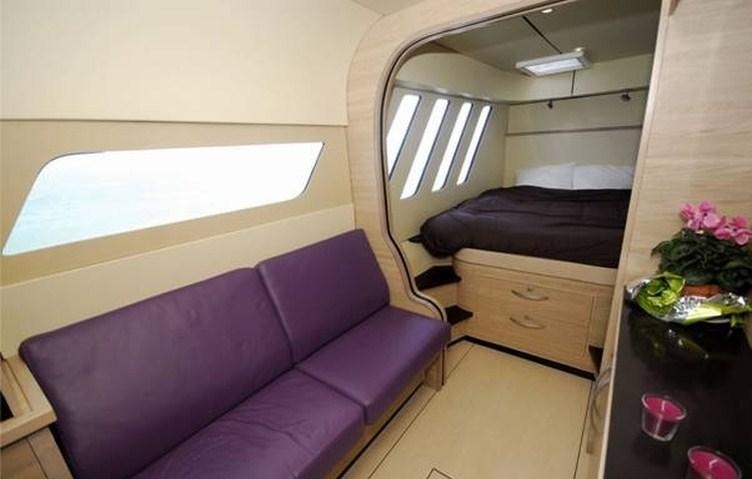 Catamaran PEARL can accommodate up to 6 charter guests, in 1 master cabin with queen size bed, sofa and large en-suite with his and hers sinks, and 2 guest cabins, with queen size beds and en-suite facilities. 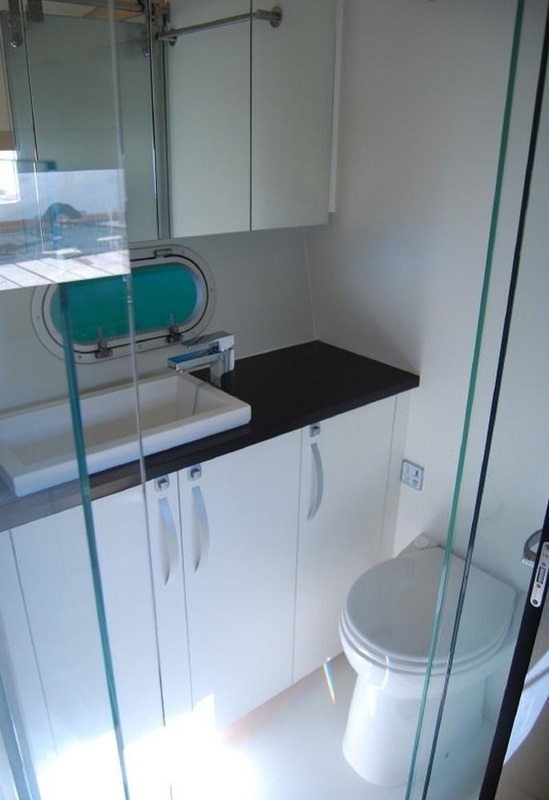 The crew has separate quarters and en-suite facilities, ensuring optimum guest privacy. 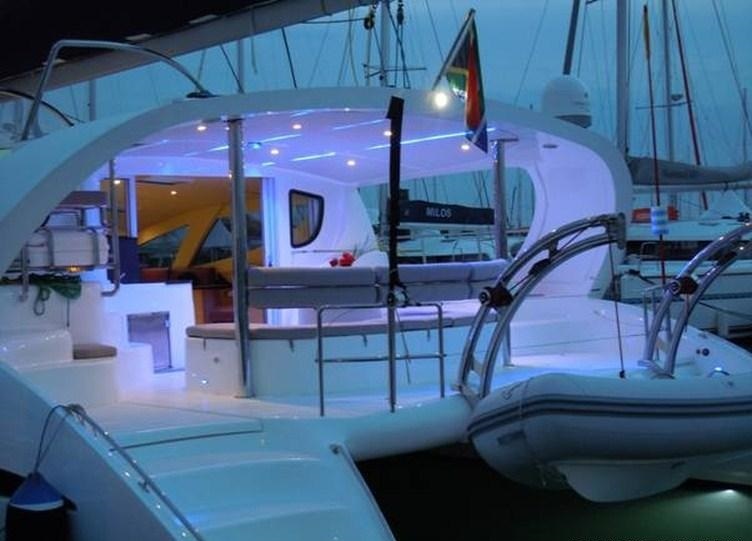 The PEARL Catamaran has the following tenders and toys: Dinghy: RIB / 15ft 0in (4.5m) / 60HP, Kneeboard, Adult water-skis, Towing ring, Dive Gear, Air bed, Wakeboard, Child water-skis, Fishing equipment, Air Compressor, Underwater Scooters (for certified diver), Board Games, Inflatable Water Toys, Cinema, iPod Dock, DVD player, Blu-Ray player, Local television, Media Hard Drive, Hammocks, CD library, DVD library, Blu-Ray library, Stereo system, Satellite television, Games Console, Book Library, Camcorder, Snorkeling Equipment, Deck shower, Barbeque, Voltage: 110v, Swim platform, Cell phone, Wi-Fi and Internet, SATCOM, 4 regulators, Underwater camera - Video, Crew certification: Dive master, Guest must be certified, Diving lights, Underwater camera – Still.